The Goldenrod Showboat was built in 1909. The Goldenrod was originally named “Markle’s New Showboat” but on her maiden voyage the name was changed. She once sat on the St. Louis riverfront then later moved to St. Charles. The last show played in 2002 and the stage is still up. The show was "Joseph and the Amazing Technicolor Dreamcoat". 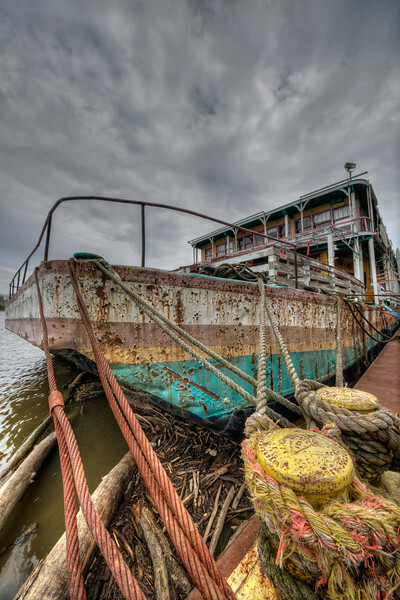 The Goldenrod Showboat now sits on the Illinois River north of Kampsville, Il and efforts are being made to bring her back to the St. Louis riverfront. You may donate here: http://www.goldenrod-showboat.com/donate.html . I hope you enjoy the tour and for some bring back a few memories.